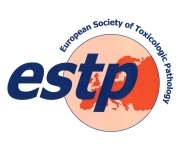 Currently, goRENI is sponsored only by the main ToxPath Societies, who are participating in the INHAND project (i.e., ESTP, STP, JSTP, BSTP), and the Fraunhofer Institute for Toxicology and Experimental Medicine in Hannover (the host of this website). Sponsoring money is needed in order to keep goRENI current with new diagnoses, criteria, and images! We are looking therefore for companies, working in the field of toxicologic pathology, and who are willing to support the INHAND initiative and goRENI. If you are interested, please use the Contact Form.